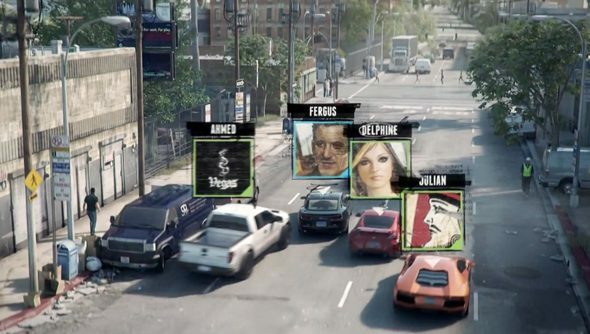 You might be looking forward to The Crew, a new game from the makers of Test Drive and Driver about getting in a car and travelling all the way from San Francisco to Chicago without stopping for the toilet. You might also think it’s entirely feasible that you’ll do more than 30 cool things in a second while playing The Crew, and want to see all of them. But if that’s so, you’ll have to do some fiddling with .ini files – because Ubisoft’s racer won’t support a framerate of higher than 30. A Ubisoft community manager confirmed yesterday that The Crew will run at 30 frames-per-second in 1080pon PC, and will support up to 5760*1080p for triple screen set-ups. The Crew’s closed beta began yesterday, and players have already uncovered the means to unlock the game’s framerate to 60FPS, but no higher. Ubisoft won’t support 60FPS, however. Presumably because that’s lead to inconsistent results on the game’s targeted system requirements. The mood on the Ubisoft forums since has been, in a word, exasperated. Does the framerate lock worry you too? Here, this might help: a list of the best racing games on the PC.